Find out about the state of the cryptocurrency sector in China in this informal Q&A session given by Virgilio Lizardo, Jr. during Bitcoin Wednesday held in Amsterdam on 1 August, 2018. 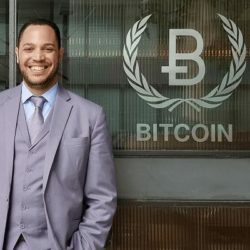 Virgilio is the Vice President of International Affairs at Gate Technology, the parent company of top-20 cryptocurrency exchange Gate Technologies. You can read a detailled bio of Virgilio Lizardo, Jr. here.